In this “Your Profit Team Review” I bring up red flags in the product’s sales video, such as off-the-wall income claims, hype, news stories taken out of context, yet little about what the product is. You should AVOID this product! Owner(s): “David” according to the sales video, Destin Cribbs according to his user name at ClickFunnels.com, Neither name is conclusive. Price: The maximum affiliate commission of 65% is $340. Based on this, the customer pays a maximum amount of $525 for the product. It likely includes any up-sells, if any. Guarantee: 60-Day Guarantee backed by Clickbank. This type of advertising has been used with the Your Profit Team product. The product apparently has not yet launched as I cannot get get past the Click Here button. This Review explores the promotional campaign. The sales video is shown above. I would that you watch the video and consider what you’ve seen in it. The work on the advertisement itself is well-done. It has soothing music with light piano and subtle sound effects. The narration is done with a soft-toned voice. Everything that went into the sales video was done eloquently. The marketing strategy in it is also eloquent however extremely unethical. Right away, we’re told that we’ve reserved a spot and this requires no experience and removes the nonsense that keeps us from making money.. This is followed by another logical fallacy – the appeal to authority. This support comes from two different ABC News stories and a foreign news station. There will be an entire section devoted to this below. An appeals to emotion session begins by being told this is a secret society of sorts and then given the typical Rags-to-Riches story which takes up much of the video. Following this, we are given more reinforcement about getting in before it’s too late, shown an image of money falling from the sky and then the typical act of altruism – “Dave” and the team have so much money and so many websites that they don’t know what to do with. They’re throwing open the doors to the tiny few who are lucky to get in. We then get about 10 seconds where we’re given a hint of what the product is about. It refers to a website we’ll be working with, most likely a cookie-cutter website from what I gather from the information I have about this product so far. We’ll be given some instructions on how to set up the product. From here on, we see the final call to action and an arrow that points down to where we fill in our details and press the Submit Button. To get more information, we need to go to Clickbank, which hosts this vendor featuring the product. Here we see a little bit more. There’s some training on how to advertise online, which apparently comes with videos, website templates which we’ll be needing, goes on to mentioning customer support and then (Uh oh!) “100+ Master Resale Rights Products. I am concerned about MRRs these days. MRR products are an out-dated form of marketing that is no longer popular as it once was and in fact have their own problems. More likely than not, the media you are trying to sell are freely available somewhere else on the Internet. You and countless others will be trying to sell the same media within this program and probably from many, many others besides! The marketing technique was effective and popular in the 1990s. Taking News Stories Out of Context! I smell a dead, maggot-infested rat here! The producer(s) of the sales video resorted to clipping some news stories, taking the snippets and reassembled them. The original meaning has been lost, thus has been taken out of context to be re-used in the sales video. This is completely unethical and irresponsible usage of material that originally didn’t mean what they are conveyed to mean in the sales video. In this case, parts from three separate news stories were isolated from their surrounding material and forced to fit into the context of the sales video. Apparently the creators of this video didn’t take in account that these news stories are online where people can find them and these clips are in them in their original contexts. We will take a look at this scenario now. 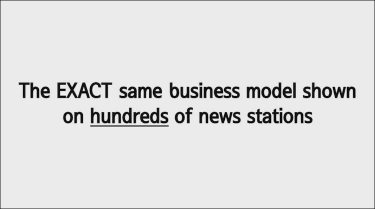 If you remember, near the beginning of the sales video, You heard and read, “The EXACT same business model shown on hundreds of news stations” on the slide just prior to being shown four snippets from news broadcasts. What is meant by “The EXACT same business model…” is left to the viewer’s imagination, therefore is ambiguous at best. Since the viewer has probably figured out that this is an online business opportunity of sorts, this, of necessity, is what the news broadcast snippets are about. This is not about setting up a home office and building out an affiliate marketing, PLR product marketing, MRR product marketing or any other recognized form of freelance-type of internet marketing done from home. It’s completely about employees working for their employers doing their jobs at home. This is a HUGE difference! In this story, we have Yahoo! (the browser and search engine company) requiring their employees to cease doing their job assignments from home and are now required to work in offices within the company’s facility. The objective of this story is to ask the question, Why? The bit extracted from the newscast features one of the spokespersons mentioning a relative that is working from home with no problems. The final clip, also used for support here, comes from a story about the growing trend of employers allowing workers to do their job assignments from home rather than doing facetime in corporate offices. This report comes from a news broadcast studio in the Philippines. The problem here and the point is, none of these stories have anything to do with Internet marketing done as a home business or through self-employment. All of them are related to folks completing assigned work for their employers. In the affiliate’s area of the Your Profit Team website, (which is accessible directly from Clickbank for affiliate marketers looking for products to promote. The entire email sequence is much like the sales video, which we will look at next. What we have is a lot of play on words, excessive appeals to emotion, which is a logical fallacy known simply as, the fallacy of appeal to emotion. This is where the flashing of money, huge promises, the selling of the dream rather than the product, the rags to riches story, and other similar psychological exploits come from. This Is One of the Email Swipe Files Used by Affiliates. It Is a Good Representation of All the Rest. Contrary to what the sales video says, in the email shown above, we have them saying that they’re going to be picking out a couple of people for their team. This is an extremely ambiguous use of the term “couple” and once again, is left to the imagination. The emails are filled with a commonly used fear tactic – scarcity. There’s only so many slots or seats, there’s only a very few being taken in, We’d better hurry and get in now because this outstanding offer will be gone. In My Estimation, “a Couple More People” Is Not the Same Thing as “20 [More] People!” Which Is It? …The Rest of the Story! The end of this product that faces the consumer, that is, the front-end, is where the grand staircase is, the glitter and glamour. It has to look pretty and for low quality products, it has to appeal to the emotion. The job of the advertising is to get conversions. As was mentioned above, one of these is the use of fear, the scarcity factor to get people to do what the vendor and the advertisers want. We are all familiar that Disney is a theme park. It’s decked out and full of fantasy. It’s full of that appeal to emotion, to authority and other logical fallacies. At these places, folks break down to a time of fun. In doing, it lowers inhibitions and raises impulsive buying. Note that the summary of the Earnings Disclaimer below suggests that we consider this product as “entertainment only!” This is more like throwing hoops or shooting the revolving ducks at our favourite Disney game stands. The statement is in full as in the original Disclaimer. At Disney, the employees that service the park, have their own corridors and behind-the-scenes workplaces throughout. These passageways are there to keep the service employees and the utility areas out of sight of the consumers who are there for the entertainment. The workers are there to work. The workplaces are dull, drab and functional. In the same way, the affiliate marketer goes behind the scenes of these products, in the back-end of things. What they see is the data they need, which is different than what the consumer sees. Please see the following two images. These tell the truth of the matter. In reality, there’s not a couple people being admitted, nor 20! This is absurd. There will be many hundreds, probably as many as tens of thousands of buyers for this product. Unless this product fails miserably (and it probably won’t because of the powerful advertising. It would make no sense to put a product like this on the Internet and host it through a place like Clickbank if only a few (shown in the advertisement) were to be admitted. Here’s the JV Invite Page on the Your Profit Team Website. Hundreds or Thousands of Affiliate Marketers Enter Through Here. This Is the Clickbank Listing for the Your Profit Team Product. Many Affiliates Come Directly Here Looking for Products to Promote. No, I will not give you the whole thing here, but I will give the summary for you to compare with the sales video! All results shown in our presentation, website, or marketing literature are atypical results. The strategies, marketing methods and other business advice obtained by the owner, may not produce the same results (or any results) for you. that you will make any money. You assume all risk related to investment and money based on your own discretion and at your own potential expense. You agree that our content is to be considered “for entertainment purposes only”. An important thing to note about the Earnings Disclaimer on the website. The poor design of this text against a dark background isn’t an accident. By law, the disclaimer must be present and readable. That it is, but with difficulty. I had to highlight the text to be able to read it. The producers of the website do NOT want you to read the disclaimer and would much rather you didn’t notice it because it does have damning information in it which directly contradicts the information in the advertising! When I first started this Review, the very first flag that popped up was Your Profit Team’a home page. On it, the background features a balmy tropical beach with a blue-green ocean, brilliant sand and of course, a palm with lush fronds. I had no idea I was going to find all this stuff – and I never even got to the product itself! I hope you had as much fun reading this as I did researching and writing it. It’s a work taken much longer than I usually do with a review. 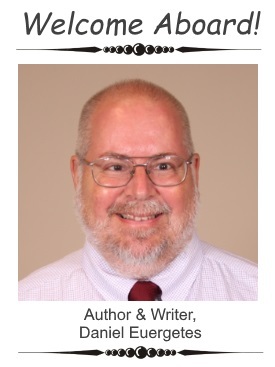 This is more of a case study and a learning tool for my readers to help protect themselves from the myriads of scams that lay in wait to pounce! Thank you for reading! I found that the product has launched this morning. This is interesting. Now the product being opened to the public, the home page has changed. It still has the same video but now in a smaller container. Notice at the top, above the video, you see someone has taken the #14 spot. Remember that when I began writing this Review, people were already said to have been taking these spots even before the product was launched this morning (or yesterday.) This is a script on the page and I will say more about this below. This product comes with a coaching program of sorts. My best guess is this is where the up-sell lies. There is now a definitive price point to purchase this product. $57 USD gets you in the door. It presents you with a discount of $10 USD in one of three ways. I will show you the ways below. What you see on the box (which changes as you interact with it) isn’t what you might think. More on this below. Bear in mind that some of the information below is inconclusive and I will state this in association to those items. In the second video, there is mention of coaching that you will get when you join the “team.” Usually, coaching comes with a fairly hefty price tag and It is likely the same occurs here. You will be assigned a coach and may get a starter session. You will be given contact information. From the information I have gotten from the JV invite information on Clickbank, there’s definitely some up-sells here. It could be the coaching or it could have something to do with the Master Resale Rights products. It could also be an undisclosed item, such as hosting for websites that come with the MRR products. Without actually purchasing and going in, this remains inconclusive. Initially, the cost is $57. This is how it starts. It gets dropped though and the common reason you see these drops in pricing is that already, you’ve been fixed upon the initial amount. You might think it’s a little high, but you’re probably going to go for it. Dropping the price further into the buying process is just another thing that locks you into a buying decision – and you go for it. You now have the online office. This is most likely nothing more than a dashboard where you set up your website. Given the benefit of the doubt here, you’re assigned a coach for all the time you’re a member. You also get access to other members. There appears to be some sort of communication between you and others. You get the quickest and easiest means to making money online. When you make money, “they” make money. Hmmm. You get a fool-proof guide that shows you how to set things up. You get a 60-Day guarantee which you can receive an income with no questions asked. There is an uncanny reference about not doing anything with the spot we’re given and that if we were to still feel objections to what we are seeing in the second video, then the advertisement tells us that we are probably not the person they’re looking for and that we don’t deserve the spot. This is a ploy known as the logical fallacy of appealing to emotion. This is a play on emotion which gets the viewer to divorce their intellect long enough to purchase the product compulsively. We have covered what’s involved with the discount and why it’s there. Here I’m just going to show what the page changes to when you get the discount. Note that the page also informs that the last spot is now taken. They’re Convincing. They’re Colourful. They Verify a Website but They Themselves Cannot Be Verified. They Are Fake! I did everything I could to find the badges that are laid out across the bottom of the box beneath the video, but I had some problems. I couldn’t find them – anywhere! Yep – the badges shown above are little more than what I’ve found – eye candy. 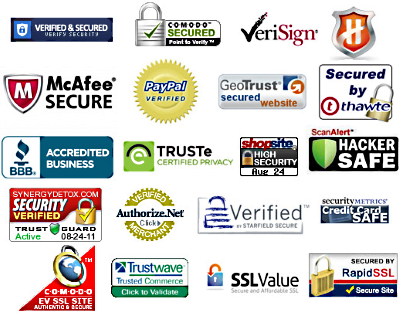 Looking at the image of trusted badges in the image to the right, what do they all have in common? They all have the website’s name on them, such as eTrust.com, etc. The ones at the top of this section do not! Reason? False, misleading and fraudulent advertising that is clearly designed to trick folks into purchasing a product that most likely isn’t worth the pixels that it’s made of! It is likely you are here because you found the Your Profit Team product and wasn’t sure about it. You wanted to look into this before purchasing. I hope I was able to show you why this product isn’t a good idea. I weigh very heavily upon the promotion of a product for reasons given above. It’s a serious matter and costs consumers millions of dollars per year. 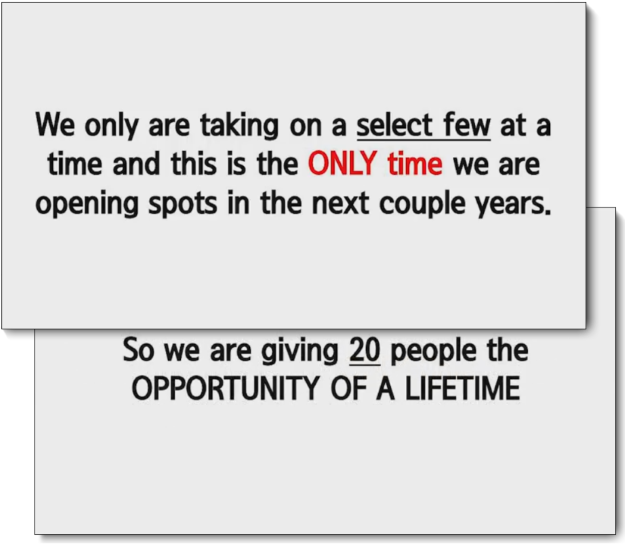 I’m going to show you a real opportunity that can become a long-term profitable affiliate marketing business. You will be taught everything you need to know from the ground up, on how to build a find your niche, build a core website for it, write the content to put into it, learn how to know your audience, know how to optimize your content for the search engines (SEO) and incorporate social media. You will be provided all the tools you need to register domains, host your websites and get all the support you need, even from the owners! The community is composed of members who closely network with each other in a business and entrepreneurial environment. There’s no black-hat marketing, no funny stuff and no need for any of the kind of advertising associated with the product featured in this Review. There’s nothing to hide! 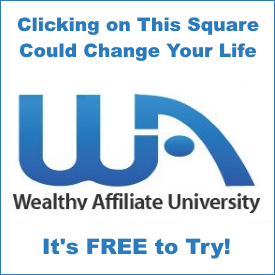 I will be bold (and proud to say) that Wealthy Affiliate is the place you’re looking for. If you are willing to work hard and know that there isn’t such a thing as getting rich quick in any Internet business (or any worthy ideal of a business at all) I have the place for you! Check it out by reading my Wealthy Affiliate Review. You can jump to it by clicking the banner below. 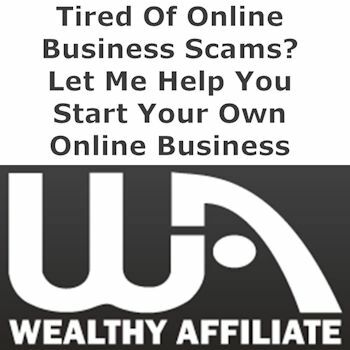 You will be shown what Wealthy Affiliate is all about and if hopefully, you click through, you will see that Wealthy Affiliate is the Real Deal! Try it out…It’s free to try. You have nothing to lose…Click the button below.